Your account now offers more digital coupons! Save each week by adding coupons to your account. 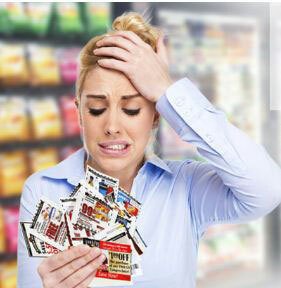 These coupons will save you time—no more coupon clipping, money, trees—no more printing coupons, and you no longer have to carry around messy coupons! Since you will no longer need them, hide the scissors and start saving more with your account!